If you enjoyed yesterdays song, then you’re in for a treat, for I have more Robbie Basho goodness to share! !…and oh what goodness this is! Known for pioneering American primitive guitar, a fingerstyle devised by John Fahey in the late 1950’s, Robbie Basho was also blessed with a striking voice that chanted, hollered, howled, warbled and delivered tender, absorbing, intriguing and often curious lyrics. I’m enchanted by his uniqueness to say the least! Basho’s Blues is a sultry meander into the more folk-blues side to his work where haunting vocals create the perfect backdrop for image inducing lines such as “running through the pines breaking all the branches” and “you know in the shade snow’s no longer white.” Coincide that with some smouldering solitary, slow blues guitar and what you have is a compelling 4 minutes of blissful escapism.. Robbie Basho takes you places with his evocative all-encompassing presence and I’ll happily follow. 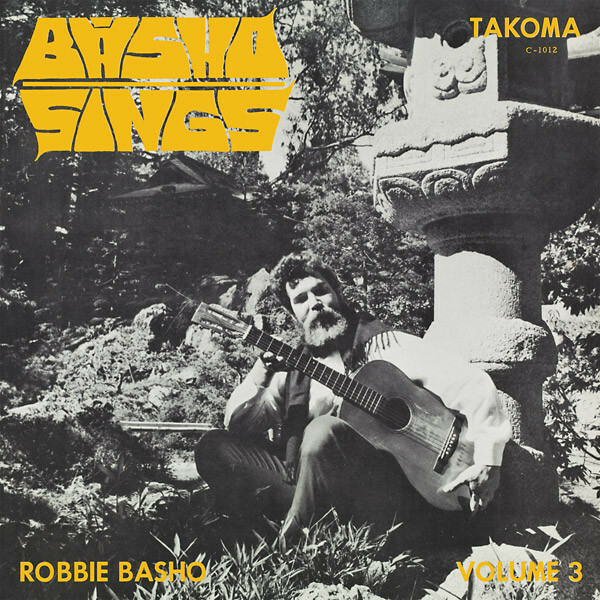 Basho’s Blues appears on Basho Sings, the third studio album from Robbie Basho which was released in 1967. Check it out above. This entry was posted in Acoustic, Folk, folk blues, Singer-songwriter, World, World Blues and tagged Acoustic, Folk, folk blues, World. Bookmark the permalink.